If you’re at all like me, from time to time you’ve confronted the challenge of what to buy as a gift for the Liza Minnelli fan in your life who simply has everything. 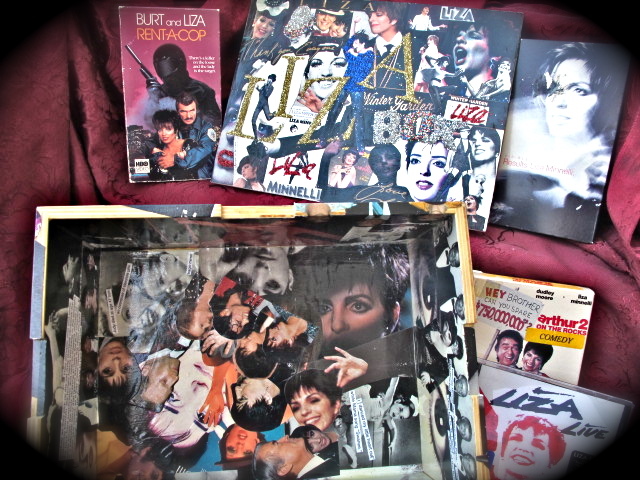 The “Liza Minnelli Box,” or “Box O’ Liza” as it is sometimes called, was an obsessive labor of love that I created to calm my Minnervis during a protracted stretch of unemployment in 2001. 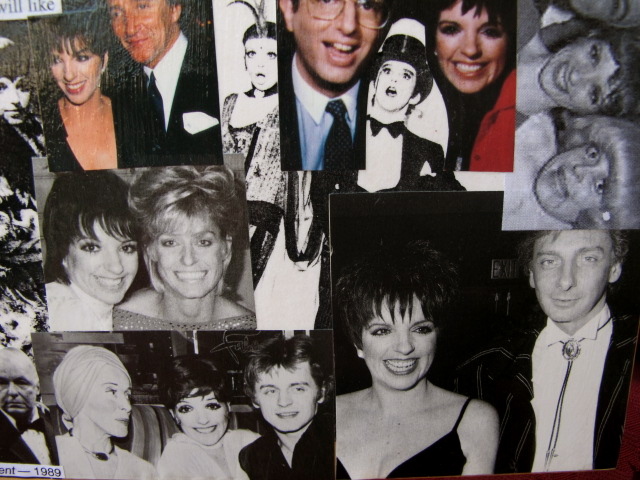 I cannot say exactly whether the impetus for a massive Minnelli decoupage project was an unexpected burst of creativity or cry for help? I did know for certain that at the time it seemed extremely important. Looking back, I can see that it was certainly the prototype for the more refined and not altogether unimpressive Natalie Cole Box, which I gave to Miss Cole for her 60th birthday. Like much of Minnelli’s most effective work, making the box was a fizzy antidote to the blues. 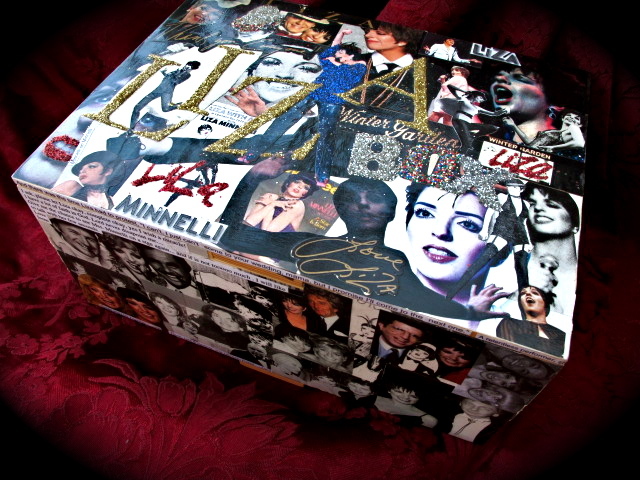 I ended up gifting the finished Liza Box to my little brother Robbie for Christmas that year. To gild the Minne-lily, I filled the box with all matter of Liza loot, including VHS copies of Rent-A-Cop and Arthur 2 from my personal collection and, the jewel in the crown: a customized Liza snow globe that played “New York, New York.” This feature gave me an unexpected thrill because the shaking movement required to activate the snow also activated Liza’s already erratic vibrato, nudging it into dangerously tremulous territory. Exhilarating! Though he is heterosexual and not a particular Liza fan, Rob is the kind of straight guy that will gladly sing “Liza With a ‘Z'” with nary a moment’s hesitation. In other words, he is a really great brother to have if you’re gay. He appreciated the randomness and uniqueness of owning a one-of-a-kind Liza box, and I believe that he and my sister-in-law Kim grew to appreciate the gift as a family heirloom. To wit, the box has occupied a lofty spot on their bookshelf — prime real estate — ever since, acquiring an almost mythical status for my family. Of course, I restored it — with my customary painstaking attention to detail — and I returned the Liza box to Robbie and Kim on Christmas Day. They were duly appreciative and probably somewhat relieved. I guess I never realized how attached they’d gotten to the box, even though it never did anything but sit on the shelf. I’m glad to report the box, just like the lady herself, is still going strong and looking fantastic. 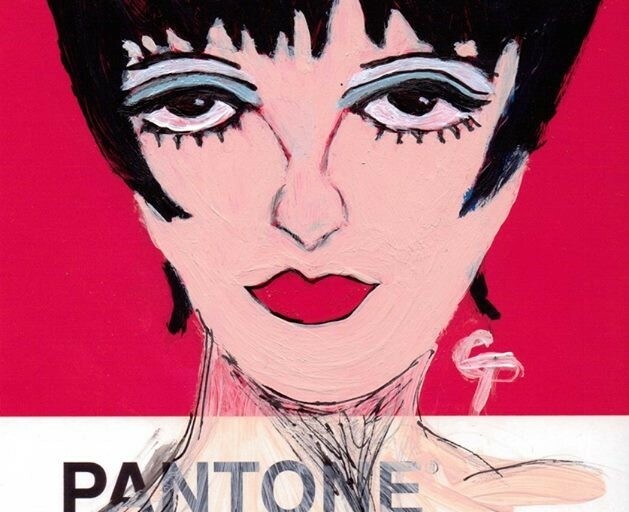 Liza Minnelli For President! Finally, (“Kick, Ball,) Change” We Can Believe In! Omg, this is the most amazing thing I have ever seen in my life!!! 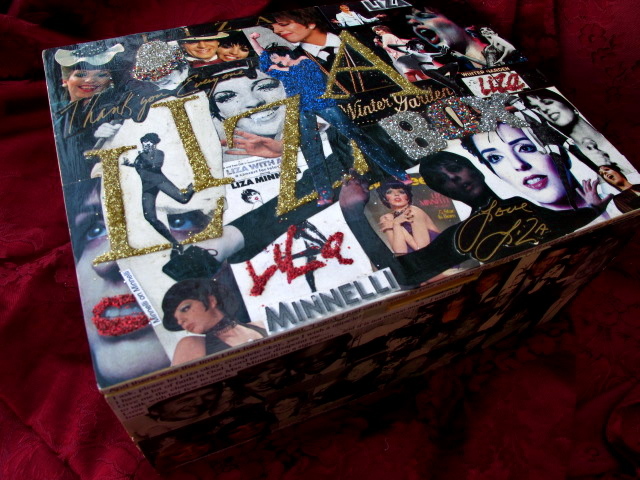 <3 How much would you charge for me to commission you to make me a Liza box of my own?? 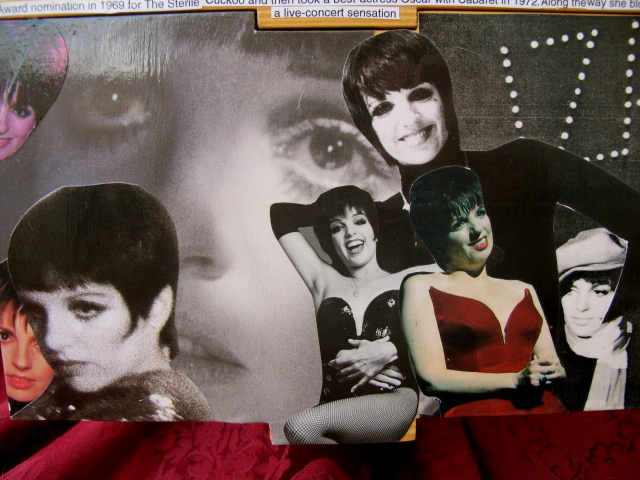 I am indeed one of those obsessive Liza devotees and would absolutely love to have one of these in my own collection! 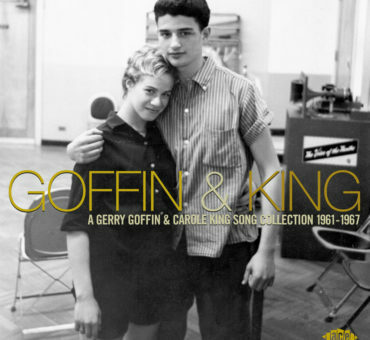 She is a fascinating case study! Hope you’re feeling better Steve.